More stuff I found. The Crayolas I remember specifically because I grabbed them off the street off a pile of trash. Almost untouched set of 48. The two boxes of oil pastels I have no idea where they came from. I wouldn’t know what to do with an oil pastel, or a crayon for that matter. 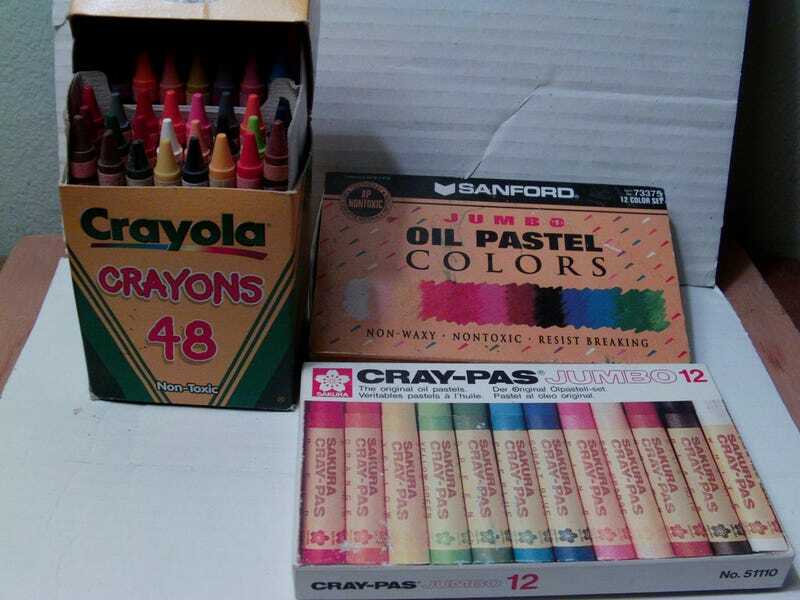 Vintage Crayola, history, etc. to follow. The crayons debuted in 1903. Tiny nostrils were never the same again. Some names were deemed no longer suitable.